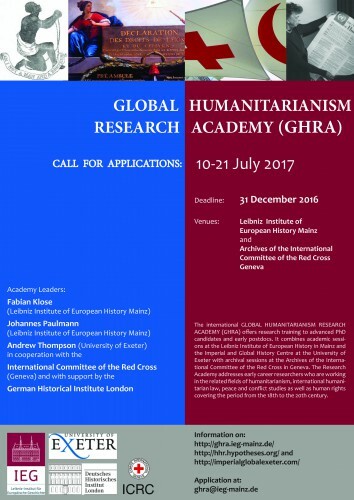 The international Global Humanitarianism Research Academy (GHRA) offers research training to PhD candidates and early postdocs. It combines academic sessions at the Imperial and Global History Centre at the University of Exeter and the Leibniz Institute of European History in Mainz with archival sessions at the Archives of the International Committee of the Red Cross in Geneva. The Research Academy is for early career researchers who are working in the related fields of humanitarianism, international humanitarian law, peace and conflict studies, human rights covering the period from the 18th to the 20th century as well as the institutional history of the ICRC and the development of its fundamental principles. It supports scholarship on the ideas and practices of humanitarianism in the context of international, imperial and global history thus advancing our understanding of global governance in humanitarian crises of the present. AHRC Care for the Future, in partnership with Exeter’s IIB and the GHRA 2018, invited Markus Geisser, Senior Humanitarian Policy Advisor at the International Committee of the Red Cross to give a public keynote at the Royal Albert Memorial Museum & Art Gallery Exeter. Markus looks back to a long career as humanitarian practitioner and accordingly he referred in his talk to this long experience. Markus joined the ICRC in 1999 and carried out his first mission as an ICRC delegate in the Democratic Republic of Congo (DRC). This was followed by several years managing field operations in Myanmar, Thailand, Liberia, Darfur (Sudan) and then again in eastern DRC. From 2006 until 2013, he worked in senior management positions in countries affected by the so-called “Global War on Terror”, first in Iraq and Jordan, then in southern Afghanistan and in Washington DC. 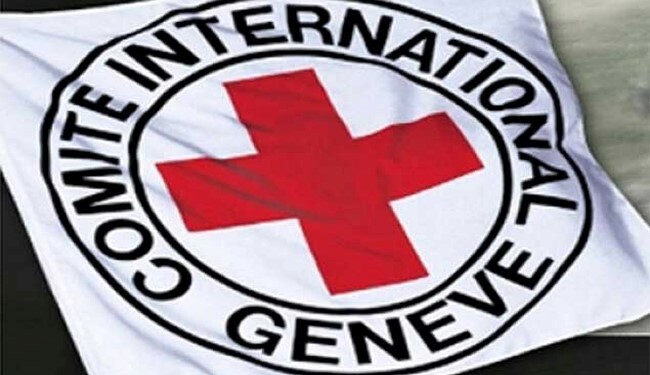 From 2013 until 2015, he served as Deputy Head of the division working on humanitarian policy and multilateral diplomacy at the ICRC’s headquarters in Geneva. In March 2015 he joined the ICRC Mission to the United Kingdom and Ireland as Senior Humanitarian Affairs and Policy Advisor. 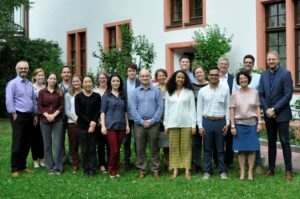 The GHRA 2017 took place from July 10 to 21, 2017 at the Leibniz Institute of European History in Mainz and the Archives of International Committee of the Red Cross in Geneva. It was organized by FABIAN KLOSE (Leibniz Institute of European History Mainz), JOHANNES PAULMANN (Leibniz Institute of European History Mainz), and ANDREW THOMPSON(University of Exeter) in cooperation with the International Committee of the Red Cross and with support by the German Historical Institute London. The GHRA 2017 had thirteen fellows (nine PhD candidates, four Postdocs) selected in a highly competitive application process. They came from Armenia, Belgium, Brazil, Canada, Cuba, Germany, Ireland, Morocco, South Africa, the United Kingdom, and the USA. They represented a range of disciplinary approaches from International History, Politics, International Relations, and International Law. 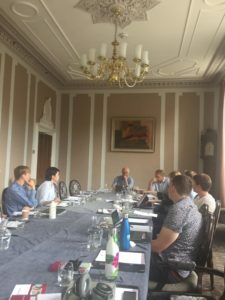 The Research Academy was joined by ESTHER MÖLLER (Leibniz Institute of European History) as well as JEAN-LUC BLONDEL (formerly of the ICRC) and MARC-WILLIAM PALEN (University of Exeter). Beginning July 10, the third Global Humanitarianism Research Academy (GHRA) will meet for one week of academic training at the Leibniz Institute of European History (IEG) before continuing with archival research at the ICRC Archives in Geneva. The Research Academy addresses early career researchers who are working in the related fields of humanitarianism, international humanitarian law, peace and conflict studies as well as human rights covering the period from the 18th to the 20th century. It supports scholarship on the ideas and practices of humanitarianism in the context of international, imperial and global history thus advancing our understanding of global governance in humanitarian crises of the present.